I read through the ACLU report and its associated lawsuit and had to agree: The TSA’s SPOT program was ineffectual at best and racially discriminatory at worst. There is one group of people that wasn’t mentioned in the ACLU’s report that is important for understanding how harmful the TSA’s program is: People with disabilities. 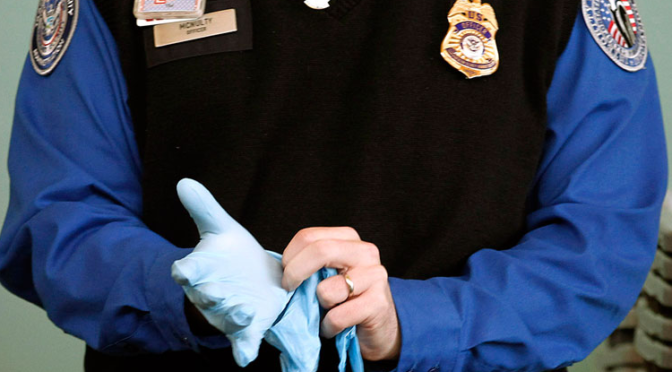 “Excessive fidgeting,” a “trancelike state,” “lack of eye contact,” “avoiding contact with others,” “inappropriate clothing,” and “running in a suspicious manner” are some of the things the TSA thinks mark a dangerous person. They’re also textbook characteristics of autistic people in public. As an autistic person, I have probably done every single thing on the TSA’s behavior list while at the airport. And it’s not just autistic people. People with intellectual and developmental disabilities, and some people with movement disabilities, also display some or all of these behaviors. Disability also interacts with every other characteristic you have. As a white middle class woman, I’m unlikely to be stopped by the TSA — But what about an autistic Middle Eastern man? Or a black woman with an intellectual disability? The TSA SPOT program could easily be the miserable crossroads between race and disability discrimination. I think it’s important to identify where disability is intersectional with other issues, and to show how ableism can disrupt people’s lives. The ACLU, as an organization that has worked tirelessly to protect the civil liberties of all Americans (Including Americans with disabilities), needs to consider how disabled Americans are affected by programs like TSA’s SPOT. We have a lot to add to the conversation.